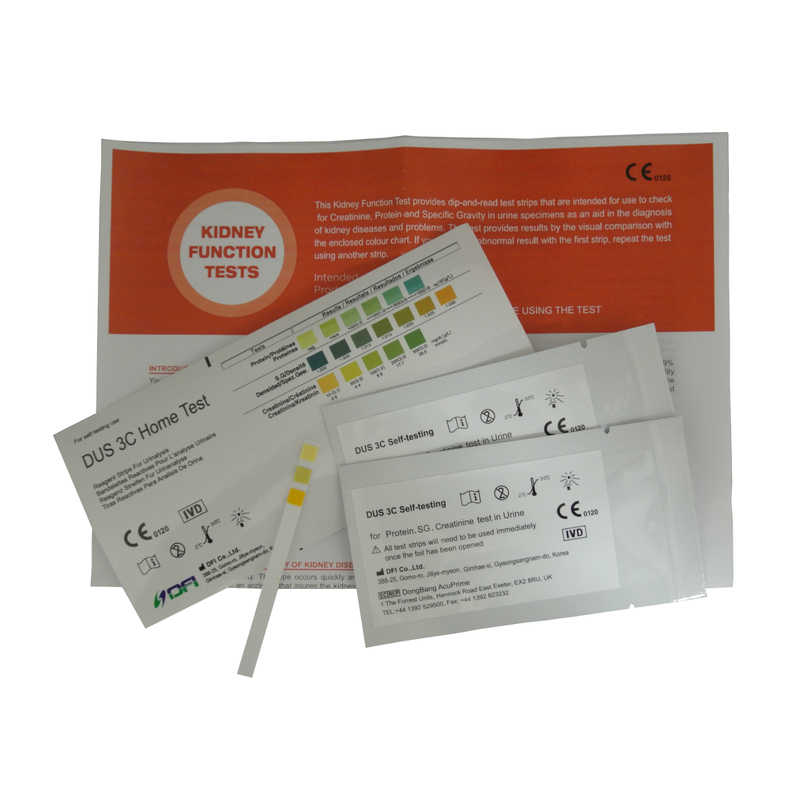 These urinalysis reagent test strips are a simple test designed to test your urine for various parameters that are used to indicate if you have a problem which will need further investigation by your GP. 5 x 10 parameter Strips in one foil pouch. 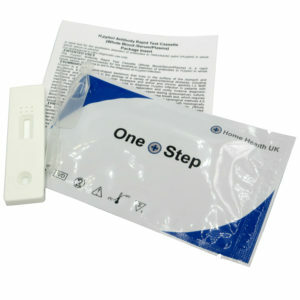 These are identical to the strips we supply to the NHS and are CE Marked for self-testing. Time to expiry on the pack will be at least 12 months from today and usually much longer. Once the pouch has been opened, the remaining strips remain stable for up to 30 days as long as the pouch is immediately re-sealed. 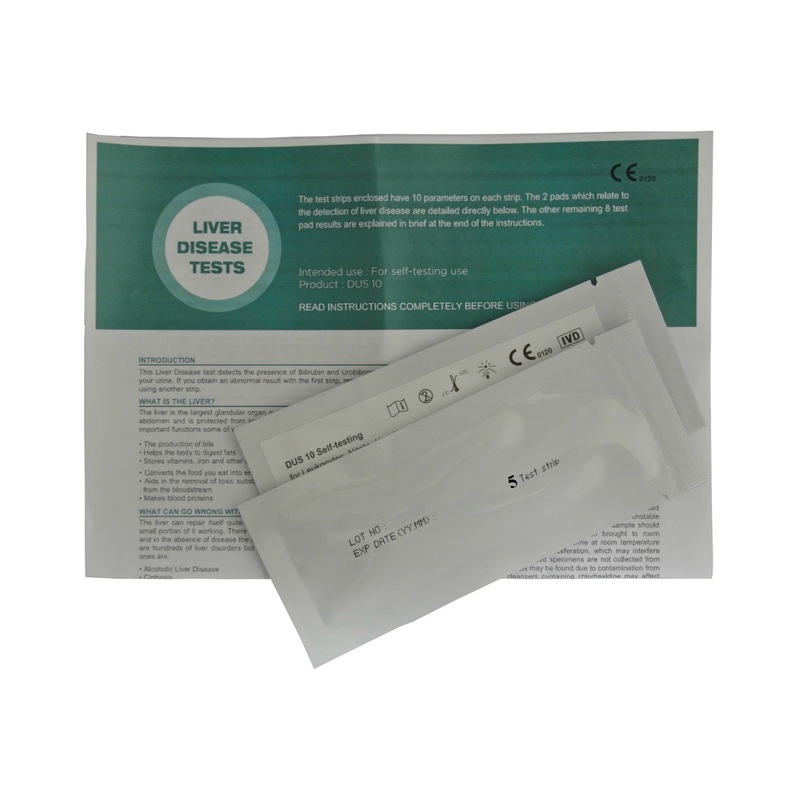 We sell more than 25 million strip tests every year (80%+ to the NHS) so we buy at very competitive prices and our products are made especially for us. We have become successful by selling the highest quality products (all CE and FDA approved) at a reasonable margin. You get the benefit. Effectively any positive result for any of the tests will require further investigation unless the likely cause of the positive result is already known e.g. 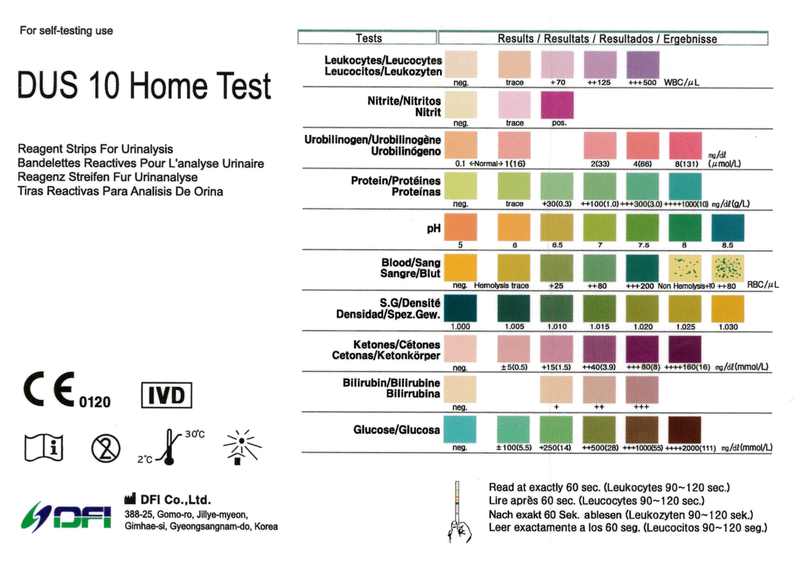 blood in urine can be a normal result if the urine is from a menstruating female. 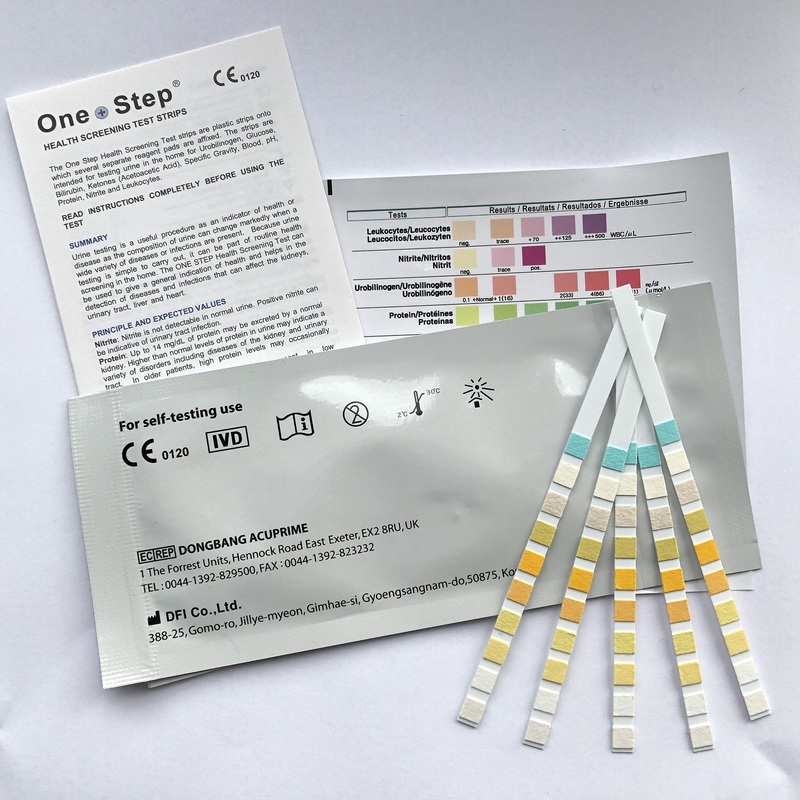 If any medical professional buying these strips wishes to purchase the automatic reader/urinalysis machine please contact us at the email address below.